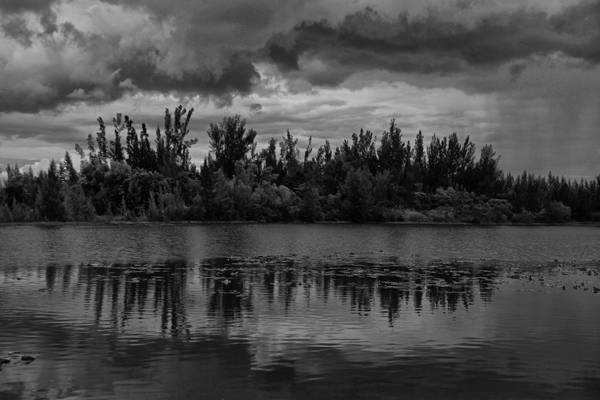 As a storm approaches the tree line at Markham Park in Sunrise, FL, the clouds, rain and trees are reflected in the lake, creating a frame around the scene. In South Florida the weather changes rapidly so compositions such as this need to be captured as they happen, because within seconds…they are gone. many Twitter users are likely to share (retweet) content.